The underfunded California Public Employees’ Retirement System faces daunting challenges in coming years, with local governments increasingly vocal about not being able to afford the ever-growing cost of their CalPERS-managed pension programs, as CalWatchdog reported July 20. The nation’s largest public pension fund could face these challenges with a board that appears both solidly pro-union and solidly in the corner of the pension giant’s top management. Or the board could once again have a rabble-rouser in its midst. David Miller, a state regulator and former president of the California Association of Professional Scientists, was elected to replace J.J. Jelincic, a maverick board member who has long accused CalPERS executives of poor management, bad decisions and a lack of openness. Jelincic decided not to seek re-election in June after facing harsh criticism from other CalPERS leaders for allegedly leaking confidential information. In May, he made headlines on investment blogs for likening a top CalPERS lawyer to Roy Cohn, a notorious New York lawyer known for his ruthlessness. In particular, Jelincic’s acidic remarks have long drawn praise from writers at the Naked Capitalism website who share his low opening of how CalPERS is run. Miller, who was backed by public employee unions and has emphasized the importance of preserving and protecting government pensions, easily defeated former CalPERS board member Michael Flaherman, who was backed by Jelincic and has a history of being open to pension reform. The union-backed candidate for a second member-at-large seat, incumbent Michael Bilbrey, led voting but was forced into a runoff next month after no one garnered majority support in a four-way race. Bilbrey’s opponent is a Jelincic-like wild card – Garden Grove Unified School District manager Margaret Brown. While Brown too has vowed to protect and preserve government pensions, she has offered sharp criticism of CalPERS’ upper ranks. 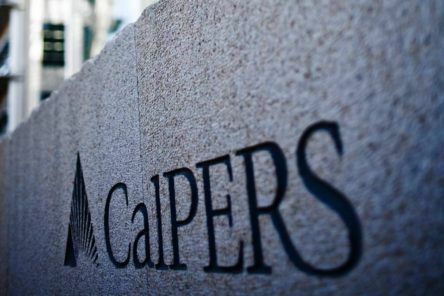 In May, she accused CalPERS’ top officials of knowingly cooking the books – hiding investment costs to make the pension agency’s investment record look better than it actually was so annual bonuses would be larger. In September, Brown wrote a letter to CalPERS CEO Marcie Frost, CalPERS board members and state officials including Attorney General Xavier Becerra alleging that the new rules for mail voting for the just-held elections broke state laws and made it possible that individual union members’ votes could be made public. The runoff is also a mail election. Ballots must be mailed by Nov. 10. In initial voting, Bilbrey got 49,801 votes (40.8 percent) to Brown’s 43,132 (35.4 percent). Jelincic took a final shot at a top CalPERS official on his way out the door. In a September email to Naked Capitalism, Jelincic mocked board President Rob Feckner’s remark that he had never been misled by CalPERS staff in his 18 years on the board. That was a reference to Fred Buenrostro, who was sentenced to a 4½-year prison term last year after after pleading guilty in 2014 to taking more than $250,000 in bribes during his six years as CalPERS CEO.